'Cause Even Heroes Need a Place to Hideaway! Aonuma: "Possibility of Another Zelda on Nintendo Switch"
Update 1/14/15 6:35PM ET: Best Buy has opened up preorders. Sold out in roughly 1 hour! 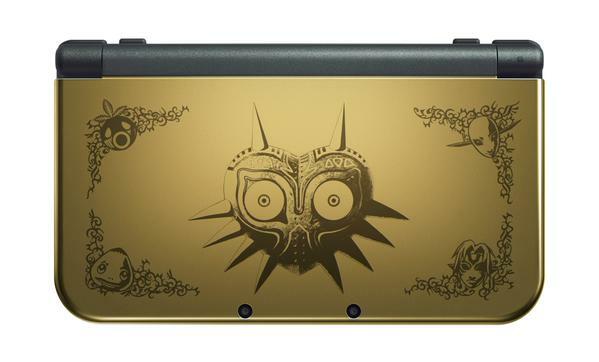 Alongside Majora's Mask 3D's launch - a Limited Edition Majora's Mask New 3DS XL will launch on February 13th in North America. It features a golden color and can be seen in the image above and will not include the game. The New 3DS will not include an AC adapter; however, all previous DSi and 3DS AC adapters will work with it. It is priced at $199.99 and available to preorder from GameStop here is sold out online and likely in-stores as well! This does not appear to be a GameStop exclusive item so check with other stores as well. Be sure to stay tuned for more information on everything Zelda! Austin Dickson has been around the Zelda fandom for years. 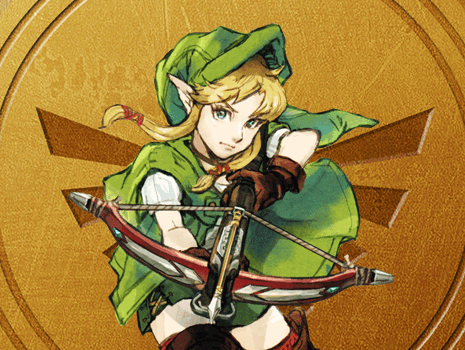 He started Link's Hideaway as a small personal project, which later turned into something of which he never thought possible. He enjoys writing articles, guides, walkthroughs, and developing the different Concealed Gaming network sites. All original content copyright Link's Hideaway 2008-2018. All trademarks are property of their respective owner.